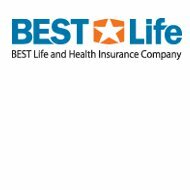 The Best Health Insurance Company review is a review of The Best Life and Health Insurance Company. The Best Life and Health Insurance Company offers medical, vision, life, and dental insurance options to small, medium, and large businesses. Search for the best health insurance rates where you live today by using our free online tool. Enter your zip code in the box above to start your search now! The Best Life and Health Insurance Company began as Westgate Life Insurance in 1962. The Westgate Life Insurance Company changed its name to the Best Life Assurance Company of California in 1979. Until 1999, the Best Life Assurance Company of CA worked mainly in California. The company’s name was changed to the Best Life and Health Insurance Company in 2000. Today, the Best Life and Health Insurance Company is domiciled as a health and life insurance company in Texas and is a Texas Association of Life and Health Insurers member. Additionally, the company writes insurance in more than 38 states. With the Indemnity Plus Dental plan the policyholder receives the same benefits whether they choose a dentist in or out of the network. If the policyholder does choose a dentist that is in the network, they will receive more savings. This plan is available in all of the states that the Best Life and Health Insurance Company covers. The Best Life Topaz Dental PPO and Indemnity Dental plans are only available in the state of Utah. These plans offer the same types of coverage as the other PPO and Indemnity plans offered by the Best Life and Health Insurance Company. The Best Life and Health Insurance Company also offer PPO and Indemnity vision insurance plans. The Best Life Access Vision plan is the Indemnity plan. With this vision plan there are no waiting periods, there is a flexible deductible, an optional EyeMed discount plan is available, and the policyholder can choose either contacts or glasses or can decide to choose both. Use our free online tool today to find the best health insurance rates where you live. Enter your zip code now!